Great Service! Bryan was very thorough and professional! NC pest control came to treat our home and yard. Very friendly and answered any questions we had. Very knowledgeable about all the questions we had. Looking forward to obtaining their services for a long time to come. Mark is AWSOME !!! did an EXCELLENT job yesterday !!! Love it !!! These people are great! They came out found the problem(s). Mike gave me the rundown on what my best options were, and what would be the best route to take to eliminate the problem(s). He and Mark answered my questions no matter the time when contacted. Mark when he comes out is always the best, as was Brian when he came out to service our home as well. If you want your job done by whom I believe are good people call NC Pest Controll. Thanks again Mike,and Mark for all the help you have given, espically over the last 2 weeks. Mark came out and did a fantastic job! My mother- in -law is 95. Technition Mark came to inspect her house for the initial visit. The previous company did not come inside to spray. And did not take off their shoes when they cane inside Mark did. and he answered all her questions she had. She was very impressed with his appearance and uniform. She would definitely recommend NC Pest Control. Mike came out on a Saturday morning; the office provided a 2 hour window, but Mike also called to provide the actual arrival time so I wasn’t just sitting around. He crawled around the attic to set bait traps for the mice, then sprayed the house exterior and knocked down spider webs. Very professional and friendly service! Thank you for the review! We love getting feedback! If there is anything we can do to better serve you, please let us know! Im couldnt be happier with the service i recieved they make you feel like family. Excellent 1st service experience!! Tech (Steven) was awesome and did a great job!!!! Thanks for caring and doing it right the 1st time!! From the moment Mike arrived until the moment he left, he kept me informed of what he was doing and provided tips on how to keep my home bug free. He was very friendly and welcomed my family to the area. I highly recommend NC Pest Control. Customer service was awesome. Thanks Mikayla! And Steve came over to take care of my home. He was knowledgeable, friendly and fast! Thank you for letting us know how we are doing! We always strive for the best quality and we appreciate you being the best part of NC Pest Control!!! NC Pest Control is amazing! I can go outside all summer long and enjoy my yard without the fear of being attacked by mosquitos. Where I live there are lots of spiders normally but not at my house. 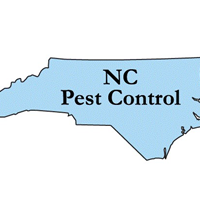 I highly recommend NC Pest Control to all of my friends and family. Thank you for letting us serve you! If you have any issues, please let us know!